The Candy Cane Red Striped paper party cups match perfectly with the designs in the Paper Eskimo birthday and baby ranges, making it simple to coordinate your party elements. 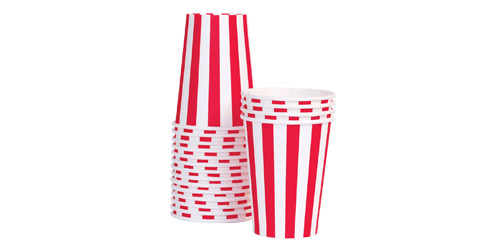 Red and White striped party cups are great for circus themes! Pack includes 12 rend and white striped paper cups.